I have been waiting for these rings for many months and am thrilled by how well the concept is executed. For those into LR and ELR shooting, a big problem is maximizing the scope elevation travel. Many use a canted scope rail but what if you need more? What if you find that you are using up a lot of windage to zero the scope? 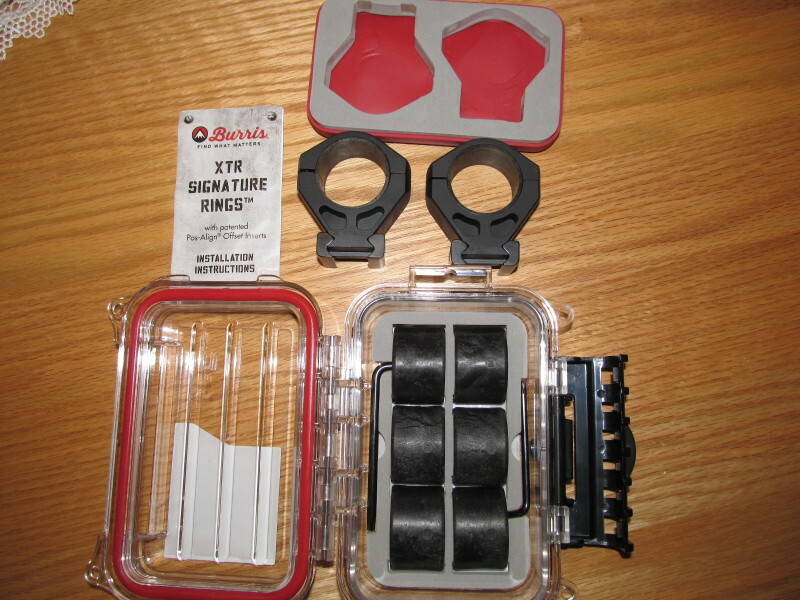 The solution is surprisingly simple and has been used by shooters in the know… the Burris Signature Rings. The patented concept allows eccentric inserts to physically shim the scope within the rings for elevation and/or windage. You can align the scope with the barrel without touching the turrets. Great idea indeed and I have successfully used this for a very long time on all my competition and LR rigs. But scopes have gotten really heavy and large tubed over the last few years and the standard Burris 4 cap steel sig zee 30mm rings were starting to hit their limits. 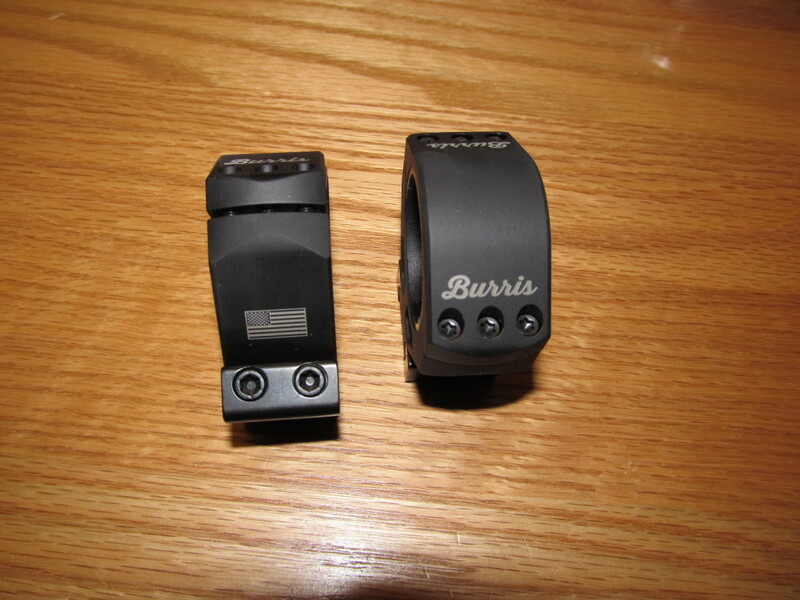 Burris answer was the XTR tactical rings… well made alum rings with a wide 6 bolt cap. Held very well but had the same problem of all solid rings… ring vs scope tube alignment and not being able to shim. Welcome the Burris XTR signature rings… the size and brute strength of the XTR rings WITH the ability to shim the scope using the Signature style inserts… SMART. The rings arrive in the pelican of scope ring boxes. A plano waterproof container that was likely designed for smart phones to be used at the bottom of the ocean. If Burris wanted to make an impression, DONE….. although maybe more humble packaging would help with the pricing. But you do get a wonderful container for all sorts of other uses. Yep, the description pretty much sums up the goodness of the rings. 100% rings contact… NO LAPPING. 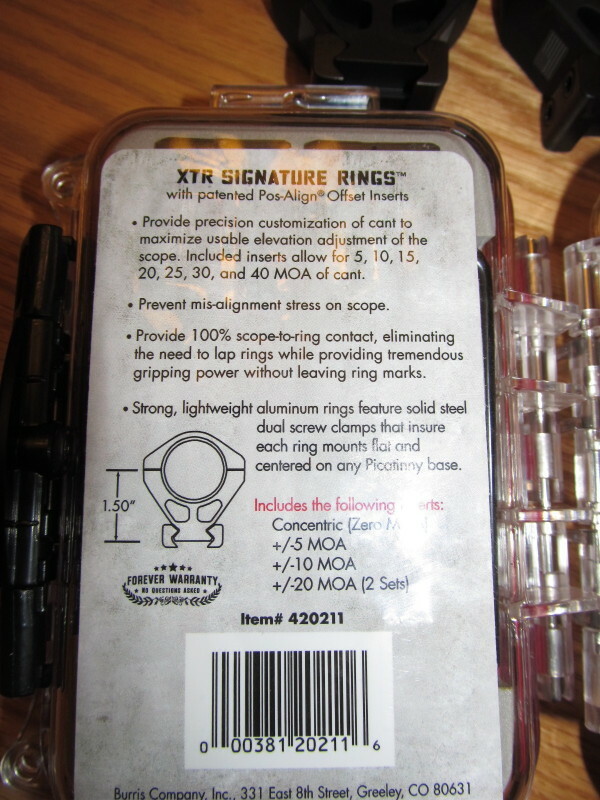 The real happy happy is the last line above the sku code…..
You are reading that right… included is a PAIR of 20MOA shims. Within these rings, you can shim your scope 40MOA in any combo of windage and elevation. 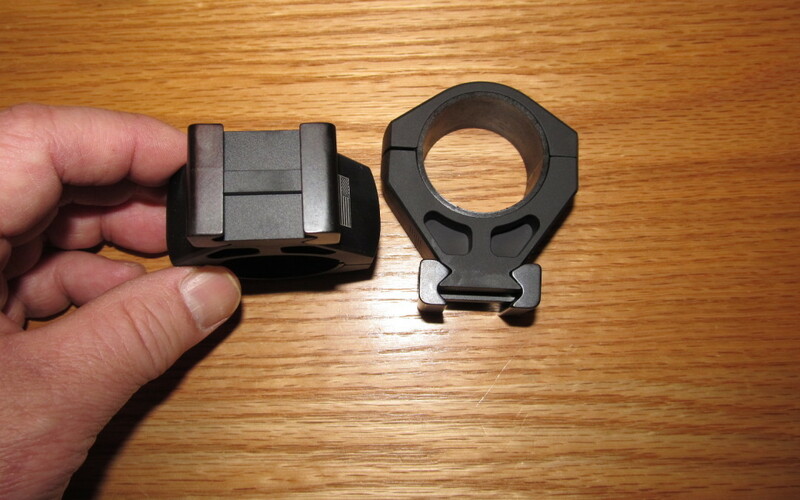 This doubles the shim range of the steel 30mm sig zee rings… that is significant. Now you can easily dial in your short range zero to max the elevation travel AND center the scope windage. Many times, a canted rail isn’t quite right and you have to live with what you got. Now you can shim to put the scope exactly where you want it. The inserts are made of a “sintered” looking plastic that has a textured surface. When I put them on the scope tube, they were not easy to slide. They wanted to stick to the surface all on their own. This is wonderful as any pressure from clamping the rings is going to lead to a rock solid non slip set up. I am currently using the 34mm HIGH set t0 hold my Sightron SVSS 10-50X60 scope. Love this scope but it is a pig for weight – 42ozs. Definitely put those inserts to work. The ring bodies are quality alum and very nicely finished. Lightened, the set only weights 8.1 ozs. For a super tall big set of rings, that is light. A 6 cap top using #15 torx bolts… kind of the standard nowadays. The bottom clamp is held in with two larger bolts. These rings were definitely designed to tame big heavy scopes mounted to boomers. There is a “recoil lug” machined into the bottom of each ring. They fit a picatinny slot precisely so locks the rings from rattling back and forth with muzzle braked boomers. 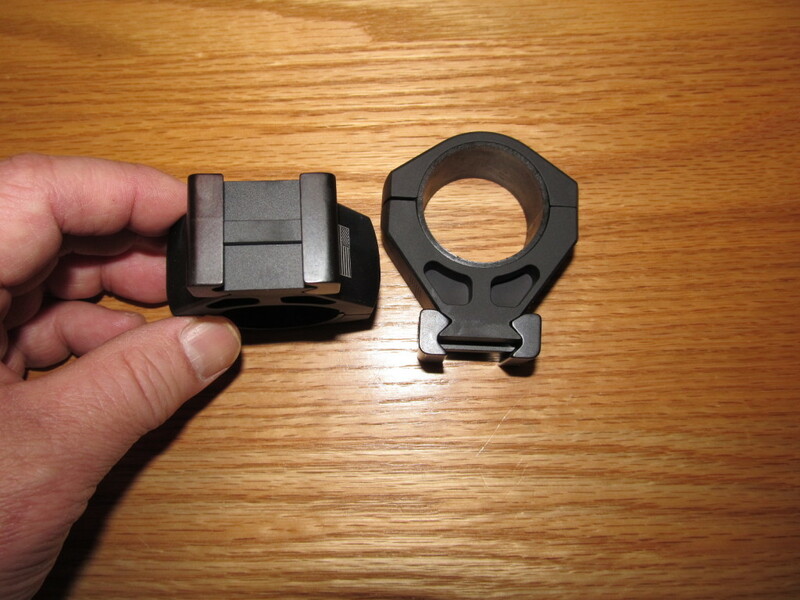 Steel is used in the two rail clamps which is a step up from most other rings that tighten into alum or a steel insert. You are not going to strip these rings without a huge amount of effort. Hold the scope securely while locking into the rail? … you bet! Put them on my FTR rifle and set up was easy and straightforward. These will let use the SVSS optical center for 1000yds competition. So far, not a hint of movement or loosening. For all that these rings can offer you for a moderate price, this is a game changer. See Burris site for all the possible size and height options. They are slowly rolling out the entire line up and I will be stocking as many as I can get…. yes, they are selling out fast at the distributor.